LED bulbs have become quite popular in the recent years. Due to better efficiency and longer life, LED bulbs are quickly replacing the conventional incandescent light bulbs. Apart from this, the light source of a LED bulb is uni-directional (throws light in one particular direction), therefore using a LED luminaire gives brighter lighting to a particular area. But the efficiency of a LED system (eg. LED luminaire) depends on many factors, and not just the LED light source. The encasing of the LED bulb, the material of the heat sink largely affects the efficiency of LED lights. For more information on the same, please read “LED lights: The material of LED lights affects the performance and life of LEDs”. The enclosure (encasing) of LED lights is a very important component of LED lights as it protects the bulb from any external damages. 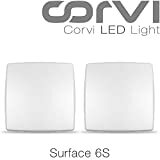 But due to a large number of manufacturers of LED lights, there come a large number of types of enclosures of the LED lights which proclaim to be better than the rest. In this situation , the customer gets confused as to which brand should he/she choose. In this article, we will discuss about the various quality standards or certifications which one is advised to check before buying LED bulbs. Electrical appliances need protection of their internal components against the outside environment. For example, while buying a watch, the dial which offers protection against the access of water in the watch is preferred. In other words, a water-proof watch is preferred. The reason is obvious. Unwanted ingress (or entrance) of water inside the watch can adversely affect the mechanical parts of a watch and thus hamper its proper functioning. To prevent any foreign ingress into the appliance, enclosures or encasing is made to protect the appliance. But different manufacturers use different material to make the enclosure, thus making it difficult to understand which is better. To address this issue, the International Electrotechnical Commission (IEC) publishes a rating which rates the enclosures on standard conditions. This ratings/markings are called IP Code or IP Rating (sometimes also referred to as Ingress Protection Marking). The IP Code consists of the letters “IP” followed by a 2-digit number. These two digits tell us about the degree of goodness of the enclosure. The first digit shows the level of protection the enclosure offers against any access to the internal parts of the appliance and against ingress of solid foreign agencies (like the back of the hand, finger). Similarly the second digit shows the level of protection against any liquid ingress. The value of the first digit ranges from 0 to 6 and the value of the second digit ranges from 0 to 9. For instance, in a LED bulb rated as IP65, the number 6 signifies that the bulb is “dust tight” and the second digit 5 signifies that the LED bulb is “water proof”. Higher the digits, better is the protection offered by that particular enclosure against any ingress. For example, a LED bulb which is rated as IP67 will be better than a LED bulb rated as IP55. In this way, the IP rating gives the consumer a common platform on which enclosures produced by different manufacturers can be measured. Even some mobile phone companies make phones which are IP rated. When you are buying LED luminaires for outdoor usage, the light has to withstand rains, dust and all kinds of harsh conditions. The luminaire should be robust enough to handle all this and that is when the IP ratings become important. So all sort of street lights, parking lights, garden lights, pool lights, etc need to have good IP rating. In fact even if you are buying a LED light for your bathroom, you should look for good IP rating as it has to withstand humidity. In fact excessive dust inside the luminaires also reduce the efficiency of the luminaire and can reduce the amount of light from the luminaire. Reduced output can defeat the purpose of putting up the luminaire. If you want to protect the luminaire from dust then you must ensure that the first number of IP rating should be 6. It ensures complete protection of the luminaire from solids of any kind. If you want to protect your luminaire from humidity then the second number of IP rating should be greater than 0. Higher the rating, higher the protection. All submerged luminaires (for e.g. pool lights) should have second digit greater than 6. Numbers between 1 and 6 can provide protection from rains and are good for street lights. What are LM79 and LM80 standards? In order to test the LED luminaires on different performance parameters like input current, colour characteristics, luminous flux and so on, the IESNA (Illuminating Engineering Society of North America) has made a standard procedure called as the LM79 standard (LM79 report) which has to be followed by the testing laboratories (certified by the Environment Protection Agency) to test the LED lamps. The LM79 method applies on LED luminaires or replacement lamps only and not on LED packages, modules or arrays. The LM79 reports consist of details of performance parameters like luminous flux, luminous intensity distribution, electrical power characteristics, luminous efficacy (calculated), colour characteristics and so on. This report can be used for a primitive screening of the product. It should be noted that the LM79 reports do not certify the performance of the entire LED luminaire for a period of time. It just provides the primitive performance characteristics of the LED luminaires under standard conditions. This is another procedure/standard formulated by the IESNA that has to be followed by the testing companies certified by the EPA (Environment Protection Agency) to provide relevant information regarding the maintenance and depreciation of the LED components. Please note that LM80 reports do not provide the life-span information of the entire LED system, as the life of the LED luminaire depends on other factors (like the material of the heat sink, environmental conditions) as well. It is a general tendency of people to think that if a LED lumnaire has a LM80 report, it means that the LED luminaire is long-lasting. But it is not so. The LM80 report provides information regarding how a specific component, the light source, performs over a period of time under certain conditions. There have been a drastic increase in the number of models and types of LED bulbs in the recent years. The enclosure of the LED lights play a major role in the durability of the LED bulb. Checking the IP rating of the LED bulb before buying one can help in making a better decision. Also while buying LEDs, request manufacturers to provide LM79 and LM80 test reports to ensure that you are getting a better quality LEDs. In our future posts we will provide the details on how to compare the LM reports.